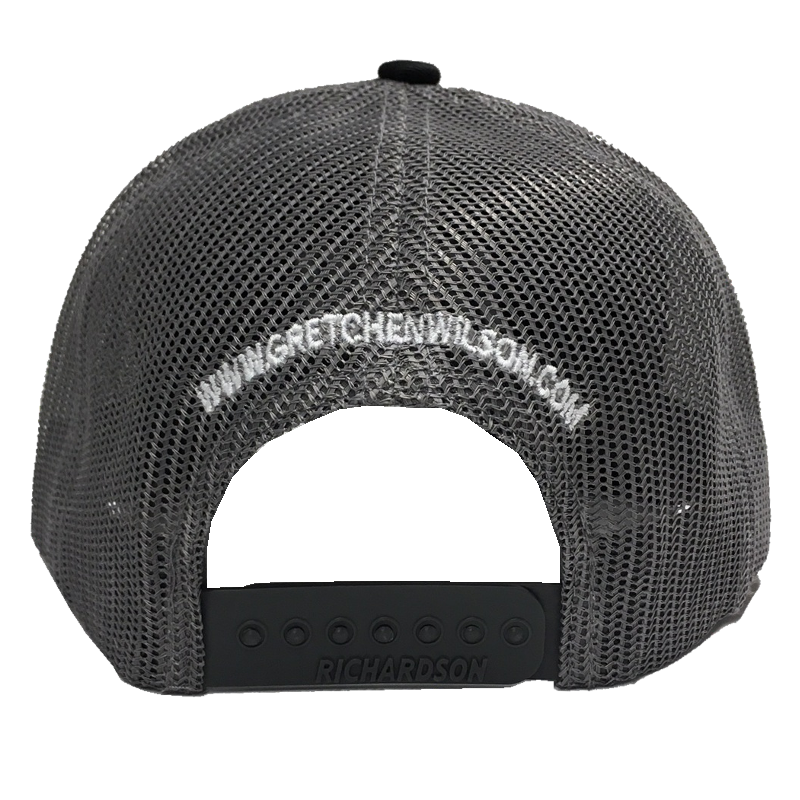 Gretchen Wilson low profile, constructed grey ballcap with black bill. Adjustable plastic backstrap. 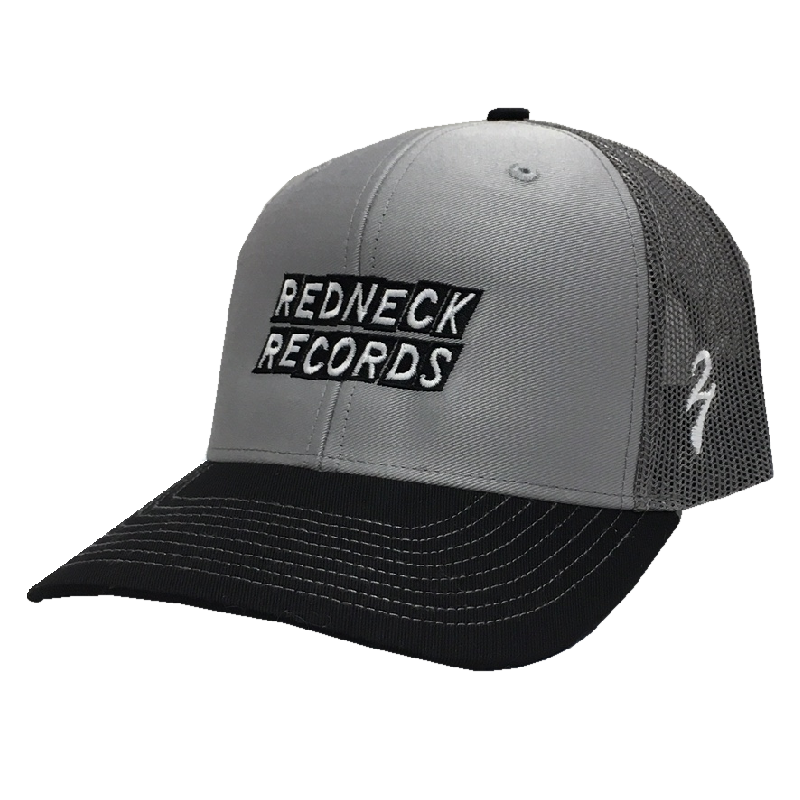 Redneck Records logo on the front, 27 on the left side and www.gretchenwilson.com on the back.